<h2>What happens inside an injured brain?</h2><br /><p>It’s part of a field of research looking into the impact of, and potential treatments for, traumatic brain injury (TBI), <a href="https://www.thelancet.com/journals/lanpub/article/PIIS2468-2667(16)30017-2/fulltext" target="_blank" rel="noopener noreferrer">a leading cause of death</a> of young adults in Europe. An estimated 2.5 million people suffer from new injuries every year in the European Union, while about 1.5 million TBI cases are admitted to hospital and some 57,000 people die of related injuries.&nbsp;</p> <p>Despite these figures, TBI is known as a silent epidemic, because its scale and impact are largely overlooked.</p> <p>‘Brain injuries are one of the most complex pathologies in the most complex organ in the body, the brain,’ said Dr William Stewart, consultant neuropathologist at Queen Elizabeth University Hospital in Glasgow, UK. ‘We have tended to think of injuries in simplistic terms.’&nbsp;&nbsp;</p> <p>In July, Dr Stewart and colleagues from Italy announced a discovery that might explain <a href="https://academic.oup.com/brain/advance-article-abstract/doi/10.1093/brain/awy193/5062642?redirectedFrom=fulltext" target="_blank" rel="noopener noreferrer">how brain injury can lead to dementia</a>. A single severe injury caused a brain protein called tau to go rogue, slowly spreading through the brain and corrupting other tau proteins.</p> <p>This causes brain cell deaths and memory loss, and eventually dementia. Deformed tau is also present in the brains of patients with Alzheimer’s disease.</p> <p>By knowing more about how exactly brain injury is linked to dementia, Dr Stewart hopes that we might, in future, be able to identify rogue tau outbreaks in TBI patients, but also find ways to stop it from spreading<strong>. </strong></p> <p> <div class="quote-view quotesBlock quote_horizontal"> <div class="quotesTop"><img src="https://horizon-magazine.eu/sites/all/themes/horizon/images/quotes_top.png" alt="" title="" /></div> <p>‘Brain injuries are one of the most complex pathologies in the most complex organ in the body.’</p> <blockquote><p>Professor William Stewart, Queen Elizabeth University Hospital in Glasgow, UK</p></blockquote> <div class="quotesBottom"><img src="https://horizon-magazine.eu/sites/all/themes/horizon/images/quotes_bottom.png" alt="" title="" /></div> </div> </p> <p>However, he says there is need for more research and scientific attention when it comes to understanding the impact of TBI and how to treat it.</p> <p><strong>Concussion</strong></p> <p>Even concussion, the mildest and most common form of brain injury, which has received media attention in recent times after the injuries of <a href="https://www.forbes.com/sites/joshuadines/2018/06/06/soft-goals-allowed-by-liverpools-loris-karius-likely-explained-by-concussion/" target="_blank" rel="noopener noreferrer">high-profile football and NFL athletes</a>, still presents a mystery for researchers.</p> <p>‘We know virtually nothing about what happens at a biological level,’ Dr Stewart told the EuroScience Open Forum (ESOF) conference in Toulouse, France, in July. ‘Brain scans are negative and blood tests are uninformative.’</p> <p>The nature of injuries to cells are the same between mild and severe concussion in the brain, says Dr Stewart. The only difference is the scale, and studying one can tell us about the other.</p> <p>Typically, someone might suffer a concussion after a fall or a head collision while playing sport. A doctor determines if someone is concussed through examination, but there is no definitive test.</p> <p>To help diagnose and treat concussions and more severe head injuries, there is a need for more patient data, which is why hospitals throughout Europe are currently collecting such information as part of a Europe-wide project.&nbsp;</p> <p>‘We want to capture a snapshot of patients arriving with brain injury into hospitals across Europe,’ he said. So far, the project – <a href="https://cordis.europa.eu/project/rcn/110065_en.html" target="_blank" rel="noopener noreferrer">CENTER-TBI</a> – has enrolled 5,400 patients and early results show that one-third of patients brought to intensive care units (ICUs) suffer from mild TBI, or concussion.</p> <p>Information from the project will help medical experts boost knowledge, better define different types of injuries and how best to treat them.</p> <p>‘We want to better predict outcomes of patients. We also want to know if one centre is doing better than another, which might tell us how to better manage certain patients,’ Dr Stewart said.</p> <p><strong>Compare</strong></p> <p>Treatment influences recovery as well as whether a patient survives or not, but as brain injuries are complex, and each is different, it is difficult for an ICU to know how well it is performing. One way to do this is to compare between different ICUs.</p> <p>This is the aim of <a href="https://cordis.europa.eu/project/rcn/110176_en.html" target="_blank" rel="noopener noreferrer">CREACTIVE</a>, a project which issues an annual report card to around 70 ICUs in seven countries. The ICUs are participating voluntarily and are located in Italy, Poland, Hungary, Slovenia, Greece, Israel and Cyprus.</p> <p>Dr Guido Bertolini, from the Mario Negri Institute for Pharmacological Research in Bergamo, Italy, who runs the project, said: ‘The idea is to understand and to identify the best-performing and the worst-performing units in caring for TBI patients. Once we identify the best performing units, we can ask why they are achieving such good results.’</p> <p>In 2014, the project began collecting extensive information on about 1,500 individuals every year, ranging from the nature of the injury to the results of CT scans. The participating ICUs have access to the entire dataset, and experts at Dr Bertolini’s institute help them analyse it.</p> <p>The report cards also tell hospitals if their standard of care has fallen and warn them when they are not treating certain injuries well. These individual reports are seen only by the ICU itself.</p> <p>‘ICUs want to understand why they had bad results and how to fix it,’ Dr Bertolini said.</p> <p>In one case, the standard of care suddenly started to decline after patients were transferred earlier than usual to less specialised wards after construction work forced the temporary closure of some ICU beds. ‘We had a higher death rate in (two of) the wards where the patients were transferred,’ Dr Bertolini said. The unit was able to reduce the number of deaths by reopening the ICU beds, reinstating the usual transfer times and having ICU nurses visit the two wards regularly.</p> <p><strong>Treatment </strong></p> <p>CREACTIVE aims to collect the data of 7,000 patients before it formally concludes this year. The project has also collected blood samples from about 2,000 patients to see if it can identify proteins and other molecules in the blood to help clinicians predict patients’ outcomes.</p> <p>‘Having a good ability to predict whether the patient will recover well or have moderate (or severe) disability is very important,’ Dr Bertolini said. ‘Knowing about this will impact the choice of treatment.’</p> <p><em>The research in this article was funded by the EU. If you liked this article, please consider sharing it on social media.</em></p> <p>&nbsp;<a href="http://bit.ly/newsalertsignup" target="_blank" rel="noopener noreferrer"><img src="https://horizon-media.s3-eu-west-1.amazonaws.com/s3fs-public/IMCEUpload/news-alert-final.jpg" alt="" width="983" height="222" /></a></p> <br /> <img src=”http://www.google-analytics.com/collect?v=1&tid=UA-40077089-1&cid=what-happens-inside-an-injured-brain&t=event&ec=republish&ea=read&el=what-happens-inside-an-injured-brain&cs=republish&cm=republish&cn=republish&cm1=1" /> This post <a href="https://horizon-magazine.eu/article/what-happens-inside-injured-brain.html">What happens inside an injured brain?</a> was originally published on <a href="https://horizon-magazine.eu/">Horizon: the EU Research &amp; Innovation magazine | European Commission</a>. It’s part of a field of research looking into the impact of, and potential treatments for, traumatic brain injury (TBI), a leading cause of death of young adults in Europe. An estimated 2.5 million people suffer from new injuries every year in the European Union, while about 1.5 million TBI cases are admitted to hospital and some 57,000 people die of related injuries. Despite these figures, TBI is known as a silent epidemic, because its scale and impact are largely overlooked. In July, Dr Stewart and colleagues from Italy announced a discovery that might explain how brain injury can lead to dementia. 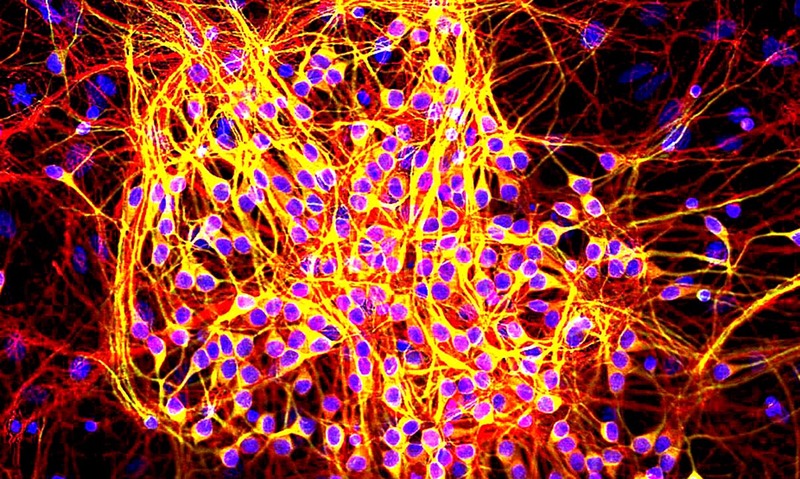 A single severe injury caused a brain protein called tau to go rogue, slowly spreading through the brain and corrupting other tau proteins. This causes brain cell deaths and memory loss, and eventually dementia. Deformed tau is also present in the brains of patients with Alzheimer’s disease. By knowing more about how exactly brain injury is linked to dementia, Dr Stewart hopes that we might, in future, be able to identify rogue tau outbreaks in TBI patients, but also find ways to stop it from spreading. However, he says there is need for more research and scientific attention when it comes to understanding the impact of TBI and how to treat it. Even concussion, the mildest and most common form of brain injury, which has received media attention in recent times after the injuries of high-profile football and NFL athletes, still presents a mystery for researchers. The nature of injuries to cells are the same between mild and severe concussion in the brain, says Dr Stewart. The only difference is the scale, and studying one can tell us about the other. Typically, someone might suffer a concussion after a fall or a head collision while playing sport. A doctor determines if someone is concussed through examination, but there is no definitive test. To help diagnose and treat concussions and more severe head injuries, there is a need for more patient data, which is why hospitals throughout Europe are currently collecting such information as part of a Europe-wide project. ‘We want to capture a snapshot of patients arriving with brain injury into hospitals across Europe,’ he said. So far, the project – CENTER-TBI – has enrolled 5,400 patients and early results show that one-third of patients brought to intensive care units (ICUs) suffer from mild TBI, or concussion. Information from the project will help medical experts boost knowledge, better define different types of injuries and how best to treat them. ‘We want to better predict outcomes of patients. We also want to know if one centre is doing better than another, which might tell us how to better manage certain patients,’ Dr Stewart said. Treatment influences recovery as well as whether a patient survives or not, but as brain injuries are complex, and each is different, it is difficult for an ICU to know how well it is performing. One way to do this is to compare between different ICUs. This is the aim of CREACTIVE, a project which issues an annual report card to around 70 ICUs in seven countries. The ICUs are participating voluntarily and are located in Italy, Poland, Hungary, Slovenia, Greece, Israel and Cyprus. In 2014, the project began collecting extensive information on about 1,500 individuals every year, ranging from the nature of the injury to the results of CT scans. The participating ICUs have access to the entire dataset, and experts at Dr Bertolini’s institute help them analyse it. The report cards also tell hospitals if their standard of care has fallen and warn them when they are not treating certain injuries well. These individual reports are seen only by the ICU itself. ‘ICUs want to understand why they had bad results and how to fix it,’ Dr Bertolini said. In one case, the standard of care suddenly started to decline after patients were transferred earlier than usual to less specialised wards after construction work forced the temporary closure of some ICU beds. ‘We had a higher death rate in (two of) the wards where the patients were transferred,’ Dr Bertolini said. The unit was able to reduce the number of deaths by reopening the ICU beds, reinstating the usual transfer times and having ICU nurses visit the two wards regularly. CREACTIVE aims to collect the data of 7,000 patients before it formally concludes this year. The project has also collected blood samples from about 2,000 patients to see if it can identify proteins and other molecules in the blood to help clinicians predict patients’ outcomes.